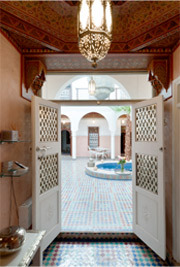 A magical place of tranquility in the vibrant medina, in the Mellah, the old Jewish quarter of the town. The former home of the rabbi with its typical patio tendriled with flowers gives its visitors from all over the world the charming smile of the Orient. Ahlan wa Sahlan! 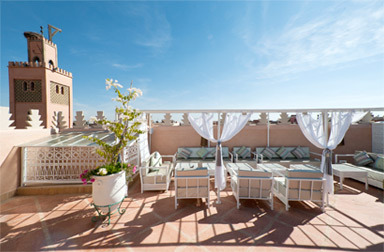 Experience the stunning view from the roof terrace, the lovingly furnished rooms, the personal service and the beauty of the moment: at the RIAD DU RABBIN.